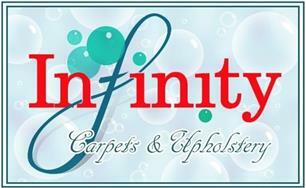 Infinity Carpets & Upholstery Cleaning - Cleaning Services based in Sheffield, South Yorkshire. Infinity Carpets And Upholstery Cleaning, is a Local, family owned and run business based in Sheffield, South Yorkshire. I specialise in Carpet and Upholstery cleaning in both domestic and commercial settings and as such we believe in giving you the best possible service, we undertake different training courses to keep our knowledge upto date and keep adding to our equipment to improve our already amazing cleaning processes. We also provide other cleaning services such as Curtain Dry Cleaning, Clothing dry cleaning, Rug Cleaning (in-situ or off-site) to ensure we are the leading provider of cleaning services in the County. We are a Proud member of and trained by The National Carpet Cleaning Association (NCCA) in all aspects of carpet and upholstery cleaning. We pride ourselves on delivering top quality work using the best equipment. There are no half measures taken and we will not be happy unless you are 100% happy with our service. We continually undertake further training with the NCCA to ensure we stay current and competent at all times. We also offer domestic oven cleaning and Leather cleaning, restoration, repair and recolouring. Every aspect of leather care undertaken.